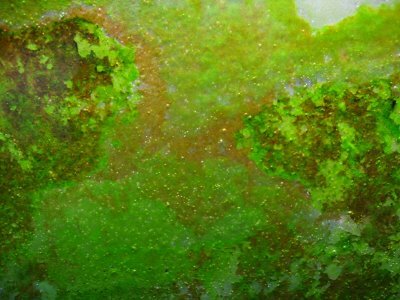 Green Dust Algae are actually zoo-spores and are commonly found on aquarium glass. 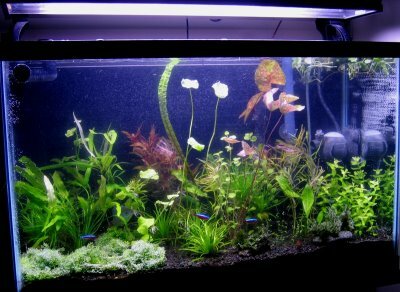 They form a dusty looking, green patchy film and in severe cases can cover the whole aquarium glass. It's not known what actually causes this algae. Intense light is favored by GDA. Scraping it off the glass will not help remove this algae since it stays in the water and will float for 30-90 minutes before attaching it self again to the glass. For some reason those zoo-spores are avoiding plants, rocks and wood and always go for the glass. Limiting nutrients will not help fighting this algae but rather cause problems in planted tanks where plants will be exposed to nutrient deficiency and that condition will just favour other algae types. The best known solution, for how to get rid of GDA, has been discovered by Mr. Tom Barr. He claims that this algae should be left alone to grow, without wiping the glass for about 10-20 days. After this period GDA will start forming ticky patchy film that will start falling off the glass. 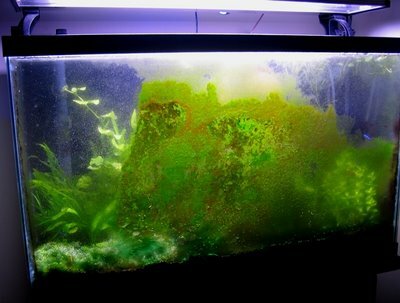 When this starts happening it is good to remove this algae out of the tank. This method should keep this algae at bay. Joe Aliperti (photo credit) gives us a visual insight into this interesting (or better, annoying) algae. Second photo - the close up. The last photo was taken exactly 3 weeks after the GDA took over the front glass, just after the total clean up :-). A sparkling aquarium. Thank you for sharing these beautifully taken photos Joe Aliperti. Photo credit Joe Aliperti. Do not copy without a written permission, please. Thank you.